I am not sure why the summary doesn't sync anymore but I wanted to talk about ping pong and the backstory on Van being German. I agree with the review of the prior episode from The Vulture: Darius aside, she’s the show’s most enigmatic character. 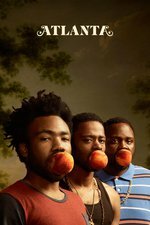 Through her, the episode was heavy, set in the very real German town of Helen, in White County, Georgia, and Fastnacht or Fasnacht is also real, but these events were fictionalized, created by Glover, and probably influenced by Get Out (interview with episode director Amy Seimetz). I don't recall hearing about Van's heritage before this, but the specifics of her background aren't as important as the fact that she is different. Kind of like Earn, who went to Princeton, but dropped out. Except where Earn tries to hide his (chosen) uniqueness, Van celebrates her "Serena Williams" status in Helen, despite the fact she's (nominally) in a worse position than Earn - he has found some (awkward/ incomplete?) success as Paper Boi's manager, while she's "between things" now. But there's also the fact that she's coming back home, where she's used to being a skilled outsider, like Serena Williams, while Earn is fully outside of his comfort zone. Back to the ping pong game: even when Van is tired, she's more willing to fight for what she wants - change, than Earn - who wants to maintain the status quo. Man this episode was so good. The acting and writing were just stellar. I have had this exact conversation word for word - Why can’t you just be a good sport about my stuff the way I do for you? I do stuff I don’t like for your benefit but you refuse to do the same for me? Why can’t we be equals? And got back the same clueless response - guys are not accustomed to being expected to do things they don’t want to do in family situations and it’s such a foreign concept that they don’t even know that women do it all the time. So they think the relationship is equal already and have no idea why this conversation is happening or what it’s even about. Their faces in this scene were just perfect. Zazie’s face throughout the episode was just so expressive and so accurate. I was enthralled. I have also had a variation of their last conversation. It has made me feel fine being single and doing stuff alone, rather than convince someone to be more invested/considerate. It is sad we don't see more women in fiction realizing that being in a couple is not a cureall for anything. Bleep, you hit it on the head. There really are a lot of people over the age of 21 who think of other people as their "costars" and not their partners or friends who need support. I would love to see more of her in the show. That is a great interview with Seimetz, filthy light thief, so thanks for posting it. I'm glad to see other directors being brought in this season, as I am just not 100% in love with Hiro's style. It's a little telling that he doesn't direct Van episodes, which are some of the best of the series.